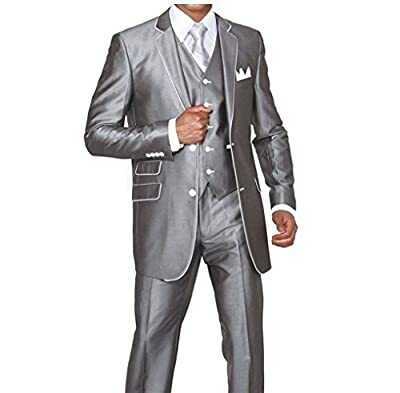 Ideal for an elegant, white tie wedding or event, this tuxedo is tailored in a stylish style with classic notch lapel, with white border. S=38R, M=40R, L=42R, XL=44R. Please check the MYS SIZE TABLE in description. 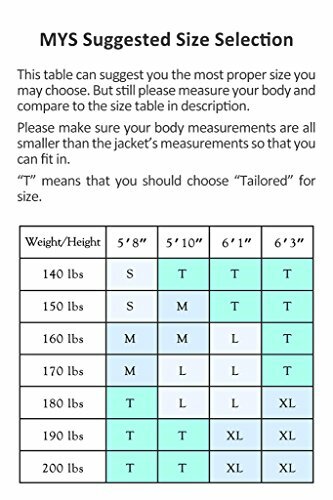 DO NOT look at the Amazon size chart. 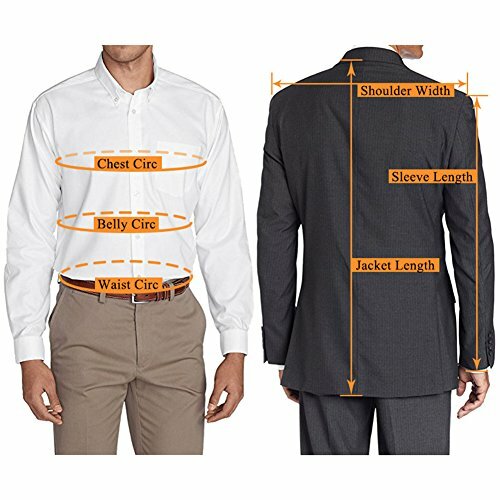 If you are not sure, we strongly suggest you choose "Tailored" for size. We will customize for you and it costs even less. Jacket, Pants, Vest and Tie included. Shirt NOT included. Thick and smooth fabric. Ideal suit for parties and ceremonies. Careful lining. Purely handmade by experienced tailors. MYS® is a registered trademark of Geek-House. Buy only from Geek-House.